Innovative Aluminum Systems is a designer, manufacturer and supplier of next-generation, maintenance-free aluminum railing products, supplying dealers across North America. Innovative’s patent pending designs are engineered to exceed Canadian and US National Building Codes, while providing elegant lines that will compliment any installation scenario. 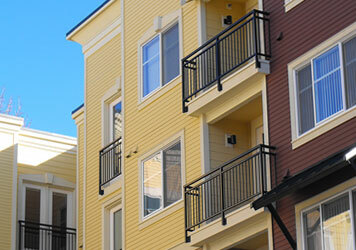 Our railing systems offer strength, style and versatility. Available in a wide variety of profiles, heights, and colors, our products are both aesthetically pleasing and incredibly strong. All Innovative Aluminum Systems come with a 20 year structural written warranty. Check out some recent installations of Innovative Aluminum Systems’ advanced railing products.